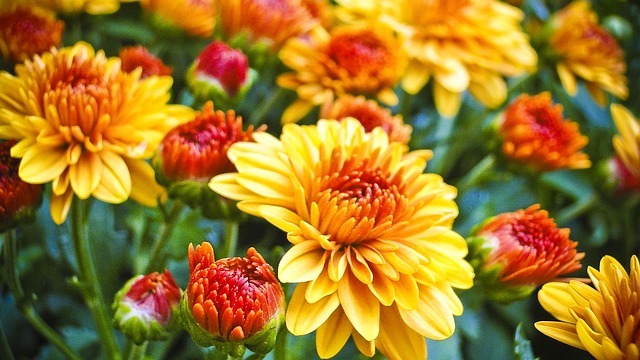 You might think of spring as the season of blooming flowers, but mums actually flourish in the fall. That’s why the Longwood Gardens Chrysanthemum Festival takes place each autumn. This year, the festival will run from October 25th to November 18th. The special exhibit consists of more than 17,000 mums, approximately 1,500 of which grow from the single stem of the Thousand Bloom Mum. The massive plant bears a half-sphere shape which is completely covered with blooming mums. In addition to this focal point, the exhibit will also showcase mums molded into other shapes, like spirals, columns, and even a fan. Admission to the Chrysanthemum Festival is free when you pay the entrance fee for Longwood Gardens, so be sure to allow enough time to explore other parts of the gardens like the Meadow Garden and the Garden Railway.